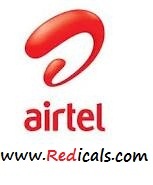 Airtel Free 3G GPRS using UC Web Browser, This UC Web Browser is Modded with the Proxy so that it will automatically work when you install Mobile Office Setting to your Mobile. If you don't have MO settings then download it by Sending SMS MO to 543210 and within short time you will be receiving Setting to your Mobile and save it. Now Download UC Web Browser 8.0 and install it .Please check your Balance (It should be below 0.30paise) otherwise your balance would be deducted.Now Enjoy Unlimited surfing and Downloading using Mobile Office.